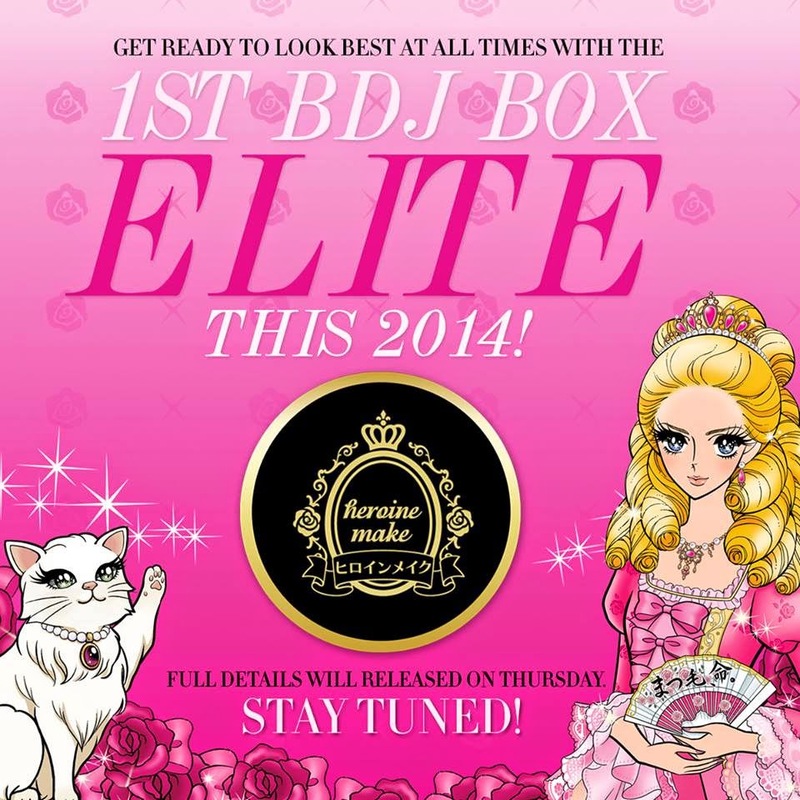 The other 2 BDJ Boxes are: BDJ Box Elite and BDJ Box Luxxe. 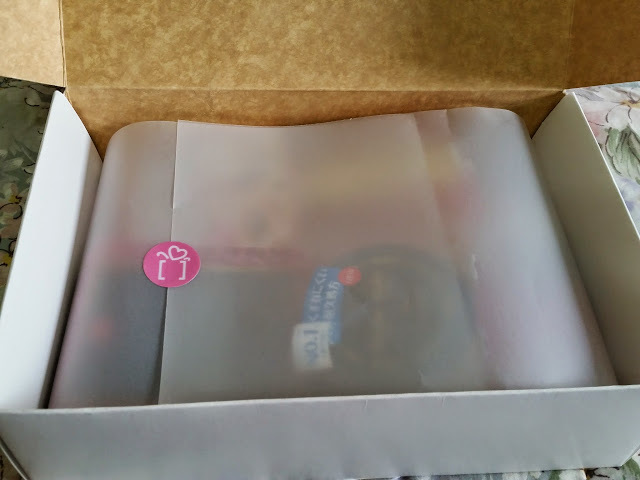 Both are being released only once in awhile and maybe a little bit pricier; but the good thing about it is that Bellas can get a preview of the items inside the boxes. 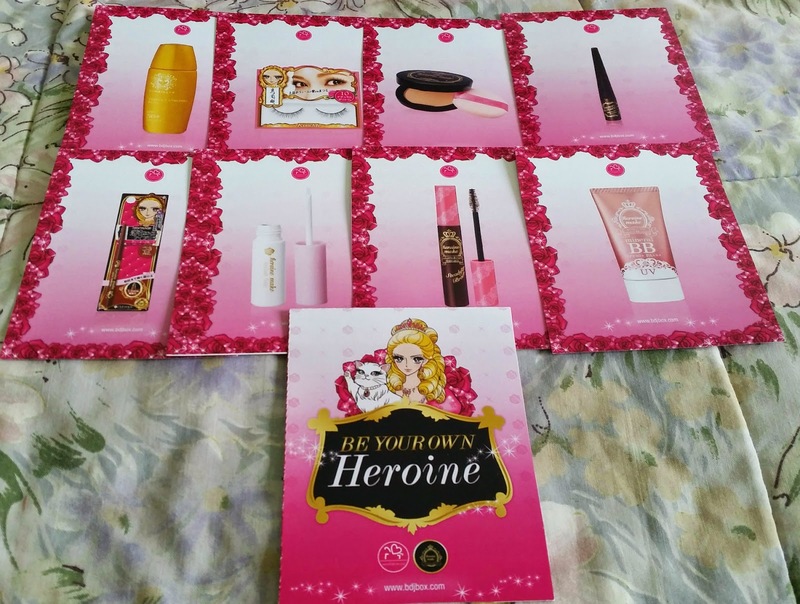 The products also usually come in full sizes and mostly are middle and/or high-end brands . 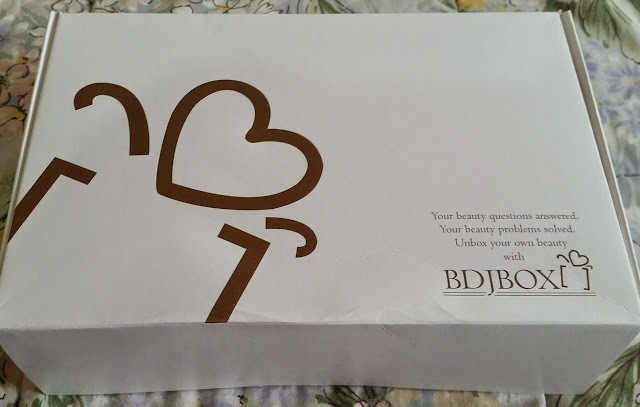 But as with all the other glam boxes from BDJ, you still get at least double or maybe if you’re luckier, you can get triple the value of what you have paid for. So it’s still a good buy. I am someone who really have a hard time keeping makeup last all day long because of my super oily skin. In-short I get “hulas agad” even before the day ends. 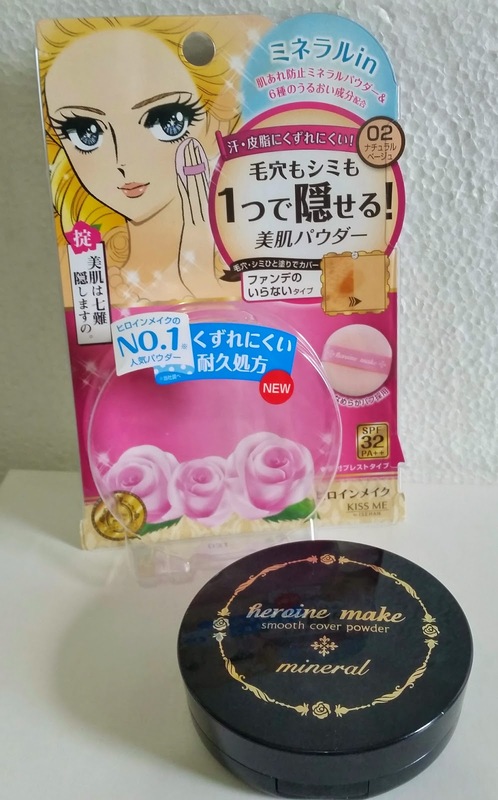 That’s why I really wanted to try this make up line from Japan (and you all know that Japanese make up products are one of the best in the world) and see if they will work for me and they will really last long. And not to forget the Japanese cartoon character with big doe-eyes that was in the photo of the BDJ post which brought me back instantly to my childhood, if you grew up in the 90’s you know very well what I’m talking about. I used to have coloring books and paper dolls that have the same looking characters and I would always wish I would grew up looking like that, always pretty and glam. 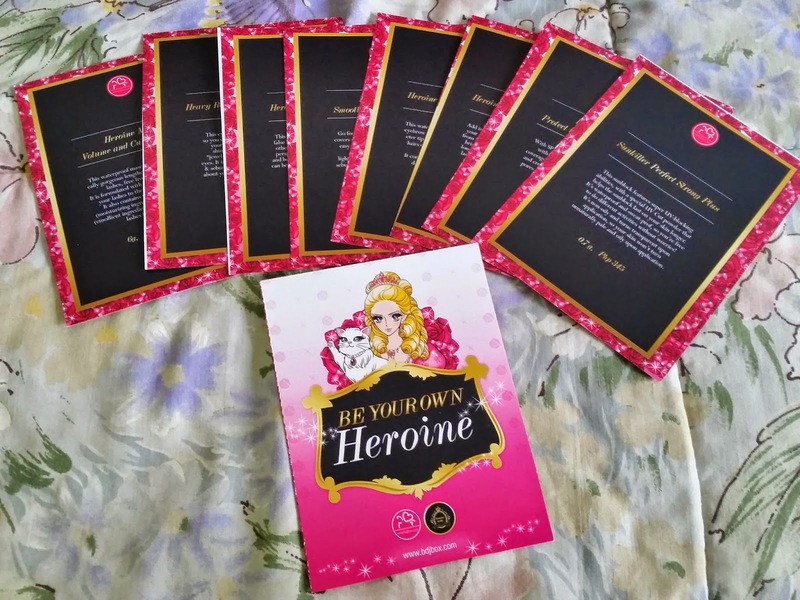 The BDJ Box Elite is entitled “Be Your Own Heroine by Heroine Make”. 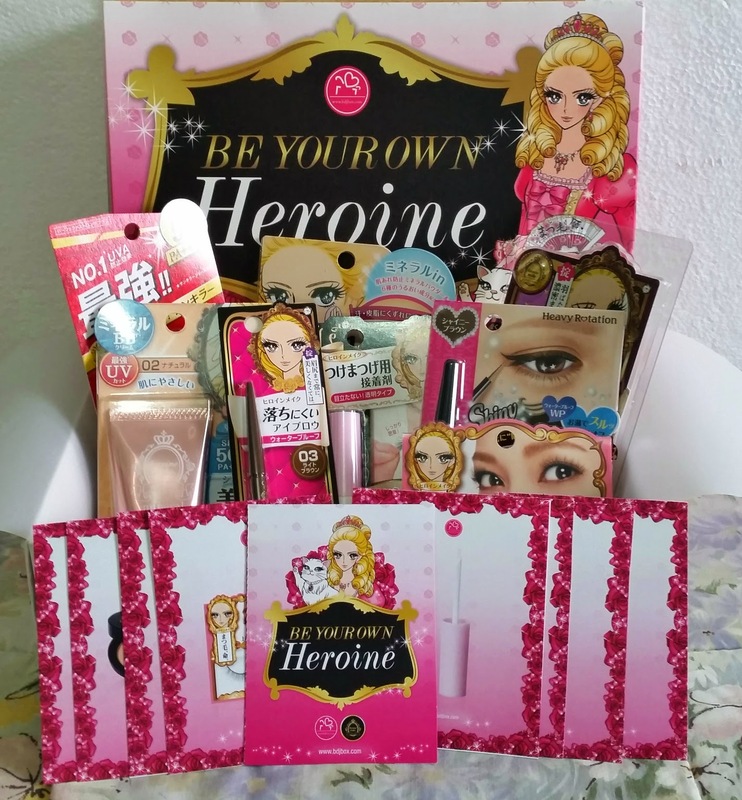 The box will contain selected items from the Heroine Make cosmetics line from the one of Japan's biggest drugstore cosmetic companies, Isehan Co., Ltd. creators of Heroine Make cosmetics believe that every girl should look good or like a princess at all times, hence, the brand’s mission to create sweat and budge-proof makeup. 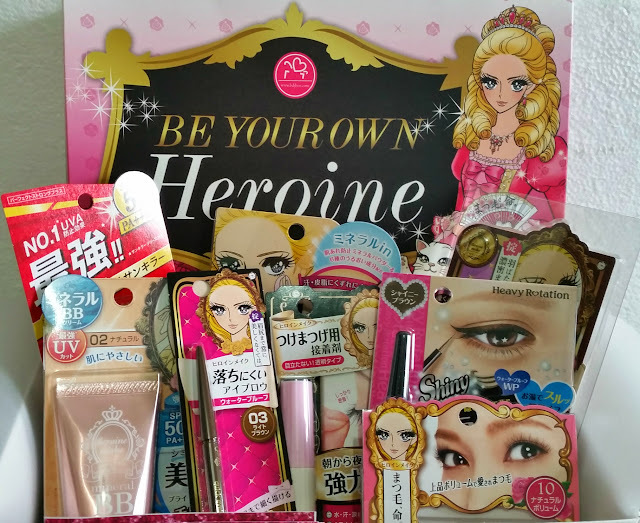 My heart was torn between Sweet Medium Box and Glam Medium Box. I am not fair-skinned and not morena either, I think my in-between skin tone would work well with the medium shades. I don’t want to look like I a ghost, especially in photos so I decided to get a medium shade. As for the look, I think I would benefit more with the Sweet Line, because the shades are natural which will be good for everyday use. So I decided to get the BOX B: SWEET MEDIUM. 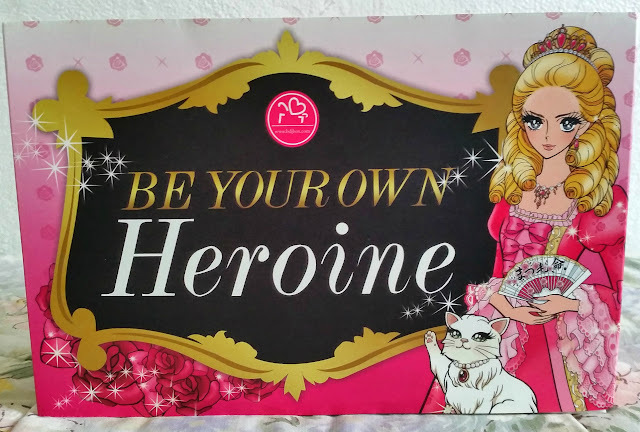 The box was around the size of an average shoe box and had this pretty Heroine Make box cover featuring the Japanese/French Princess Himeko, just like the ones I used to watched on TV, played as paperdolls and those coloring books back in the 90s. This literally made me nostalgic. 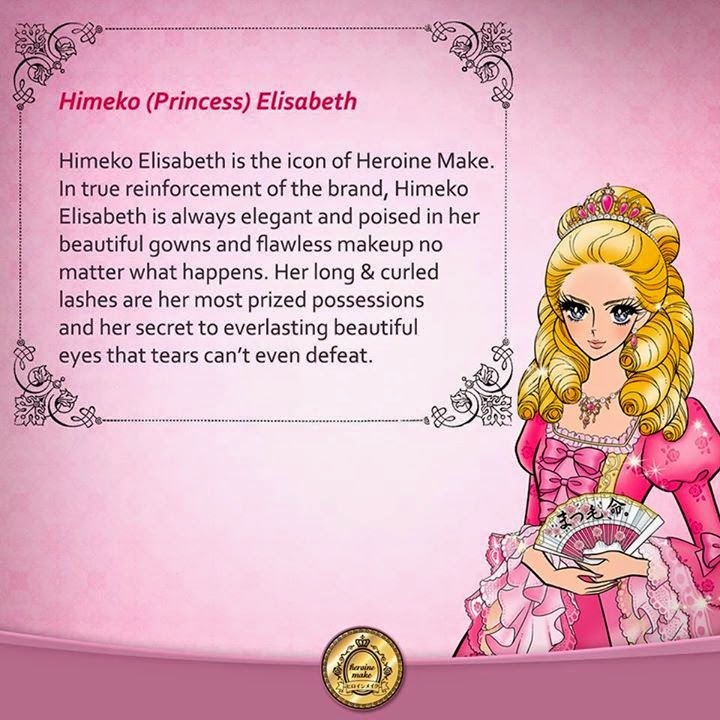 Description: This waterproof mascara gives a dramatic gorgeous lengthening effect for glossy lashes, free from any clumps. It is formulated with fibers to really extend your lashes to their maximum length. 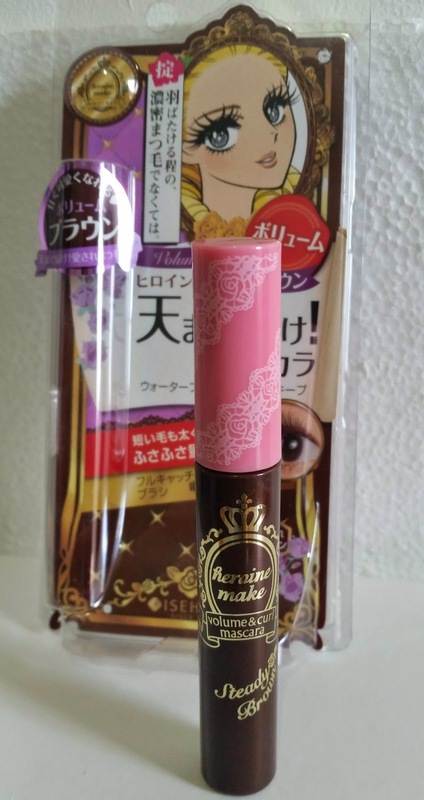 It also contains Chamomile extract (moisturizing ingredient) and Camellia oil (emollient ingredient) that protects sensitive lashes from damage. My Feedback: With its unique full catch brush it helped in separating my lashes and there were no clumping. 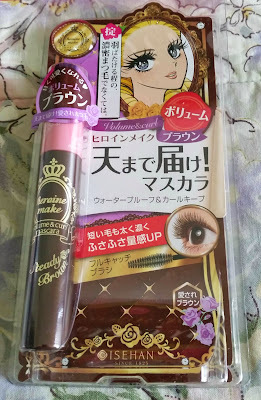 I received a brown colored mascara though, a shade a haven’t tried in mascaras; I usually get the black ones because my lashes are black. 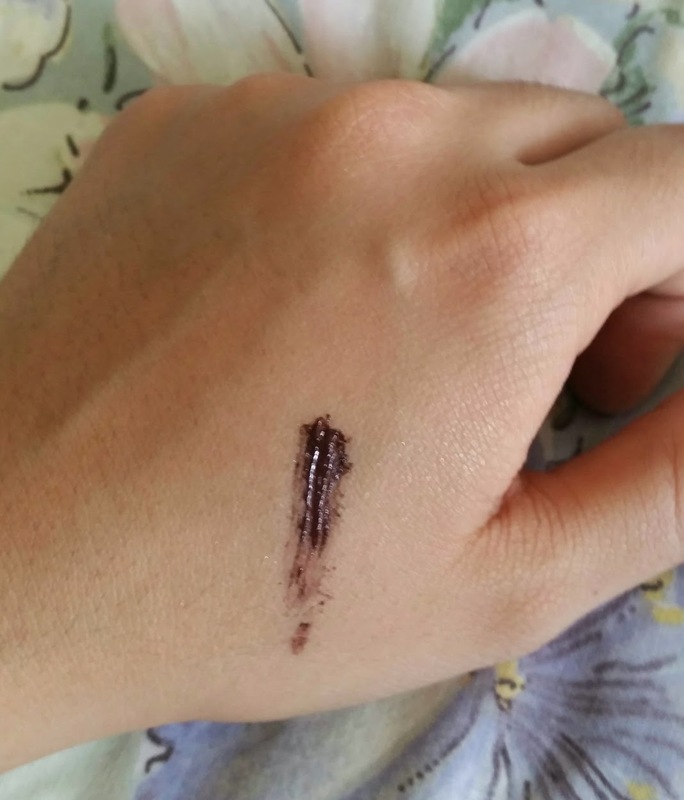 But it wasn’t that noticeable because it is in a much darker shade of brown. I like that it doesn’t feel heavy and kinda dries faster than usual. With adding volume, lengthening and curling, (I need to be honest) the effects didn’t wowed me that much. It did last the whole day though and when it was time to wash it out, it won’t come off that easily. I had to wash it several times before everything is removed. I completely forgot that it was super waterproof and unfortunately I didn’t have any make up remover. Despite that, knowing that it won’t be easily washed off with water says something about its staying power right? 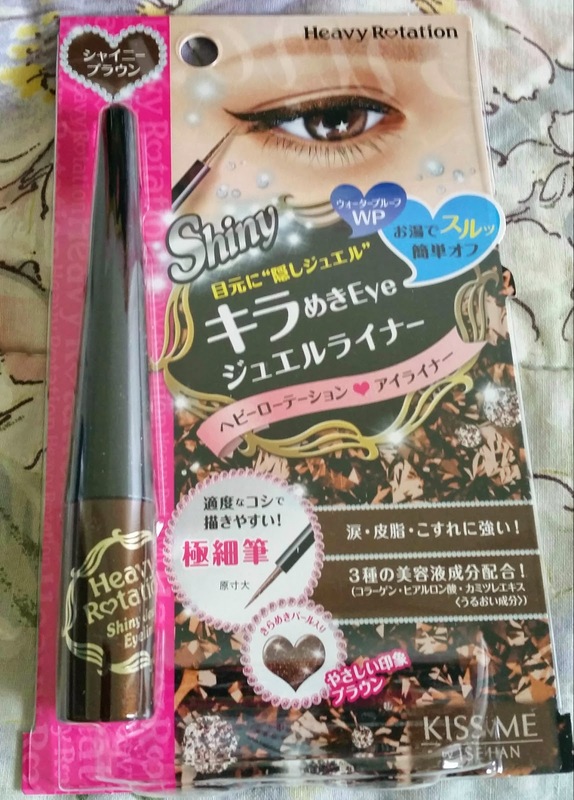 My Feedback: What I got is in a glittery brown shade, and again, it is my first time to use a liquid liner of this shade. It’s something new to try and the shimmery effect of the glitters is subtle, so I didn’t mind. 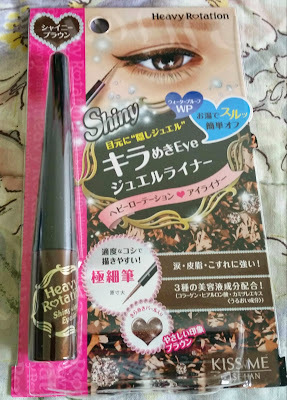 The tip of the brush is thin and very pointed unlike other liquid liner brush I’ve tried before. 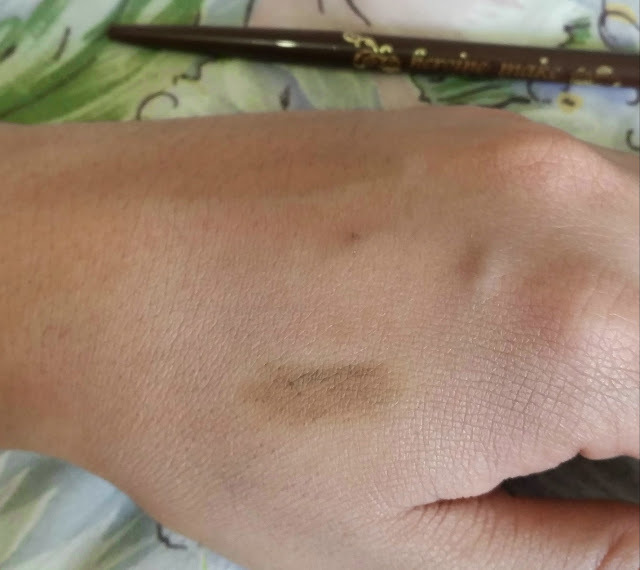 I’m not yet good in handling eyeliners, especially liquid ones, I usually use a pencil or a liquid felt-tip liner. But I must say this liquid eyeliner was super easy to use! 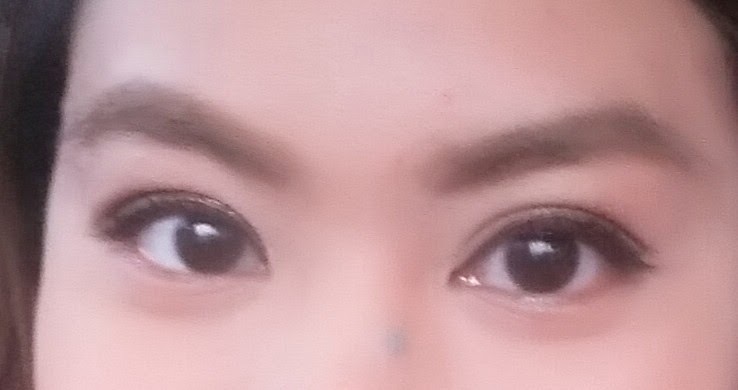 It took me only 2 tries to line my eyes, it was so precise that it looked like they were done by a pro! 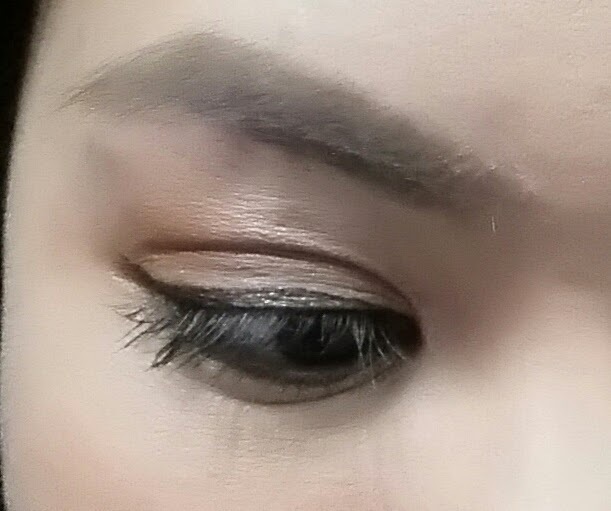 I also have the tendency to scratch my eyes, and I’m sure I did just that when I used the liner once, but it really did stay put for the entire day. 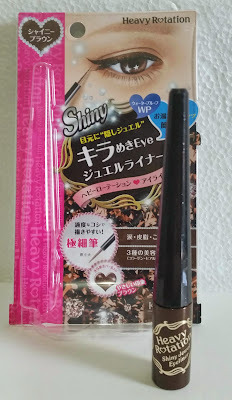 This Heavy Rotation Jewel Eyeliner gets a 2-thumbs up! 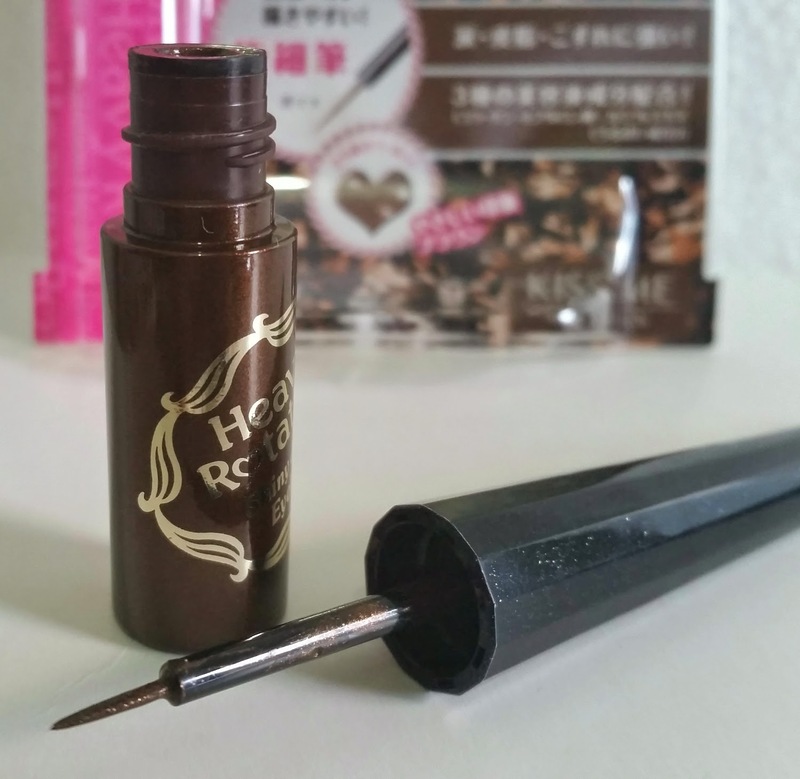 Description: This waterproof, resistant to sweat and water eyebrow pencil has a super fine 1.5mm diameter tip, which allows you to draw eyebrow hairs one by one to make beautiful arches from the inner to outer ends. 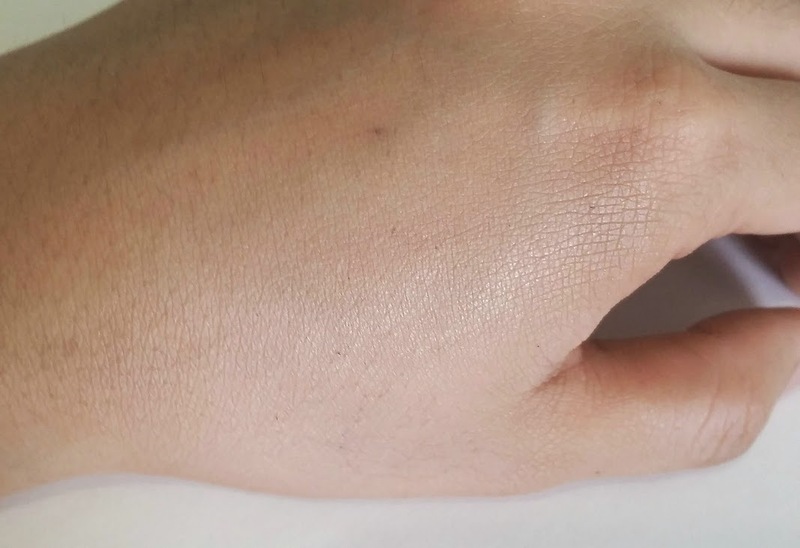 It comes in a convenient, twist pen so you don’t need to sharpen it constantly. My Feedback: I have a goal to slowly perfect doing my eyebrows beautifully through constant practice and this product is a big help in helping me achieve that. 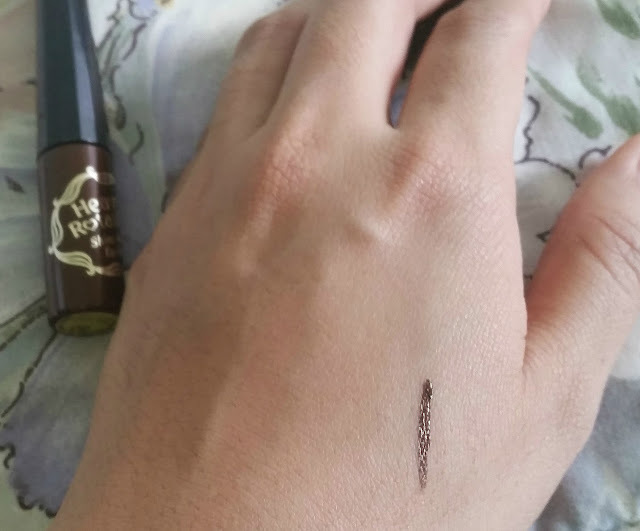 The eyebrow pen's superfine tip allows me to mimic my eyebrows' hair strands making it look more natural. 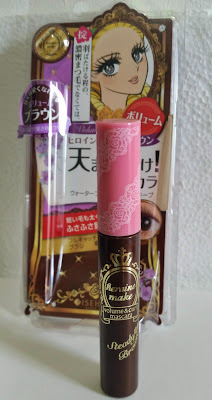 I also love the color that I received it is the perfect shade for me because it matches my hair color. 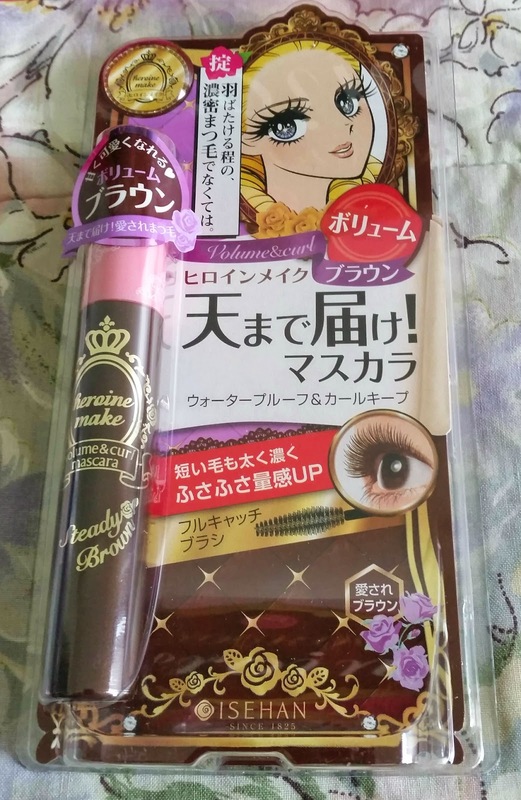 Also it is not either a strong brown or super light brown shade but just the exact shade that I needed. It also comes in a twist up pen which I really like because I don’t have to worry about losing the pen's cap or the eyebrow tip getting broken or nicked. 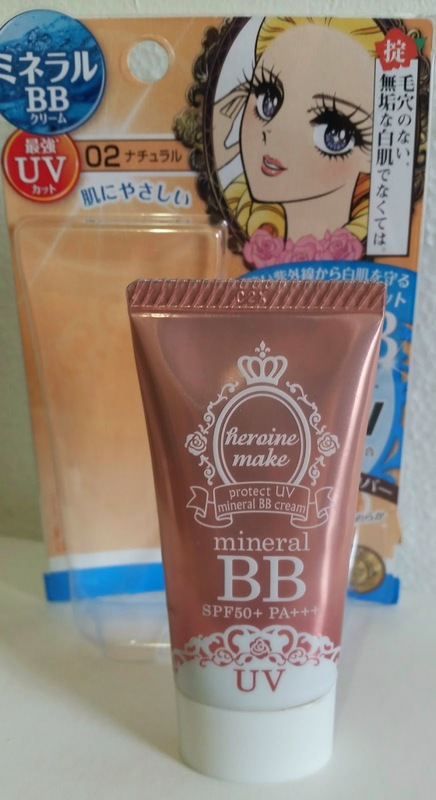 Description: With SPF50+ PA++, this mineral BB cream with excellent whitening, anti-UV and coverage effects that illuminates skin instantly, that creates even, smooth skin without visible pores, Its light texture allows you to quickly apply and blend it on your skin. My Feedback: For me this is by far the best item that I got from this glam box and the best BB cream that I’ve tries so far. 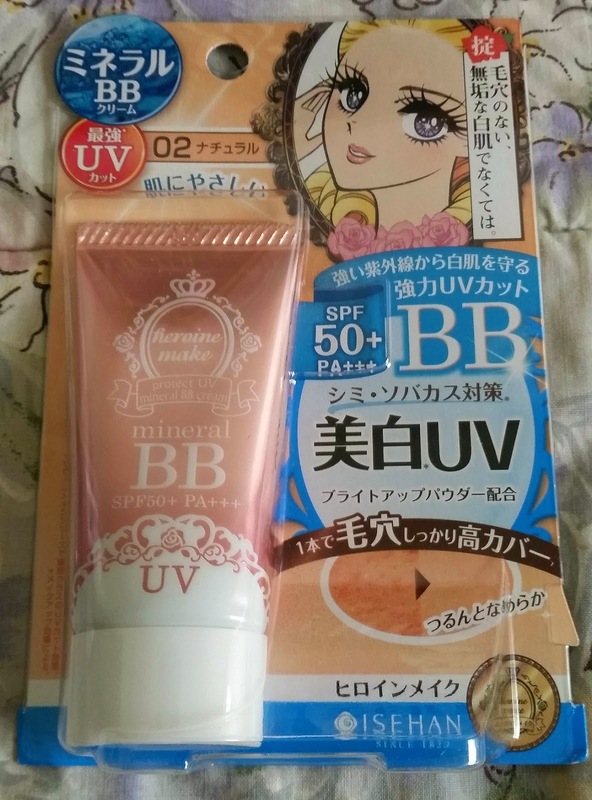 It really matches my skin tone probably because the undertone of this BB cream is yellow. 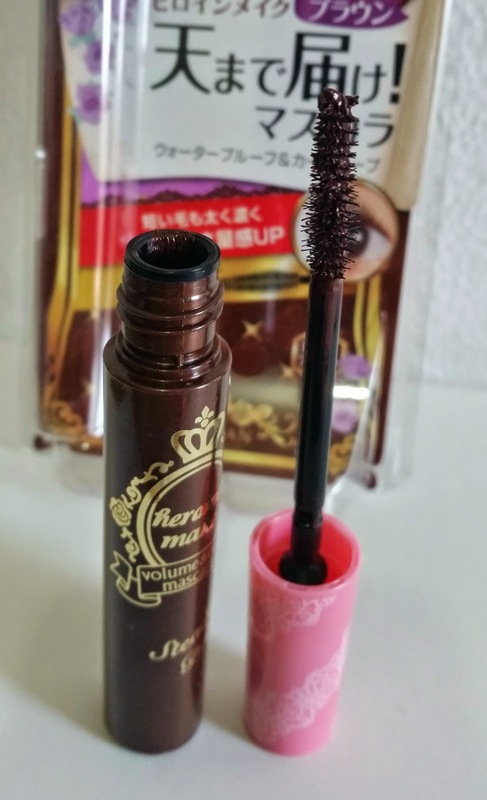 I’ve tried other brands but they are usually lighter so I had to discontinue using them. 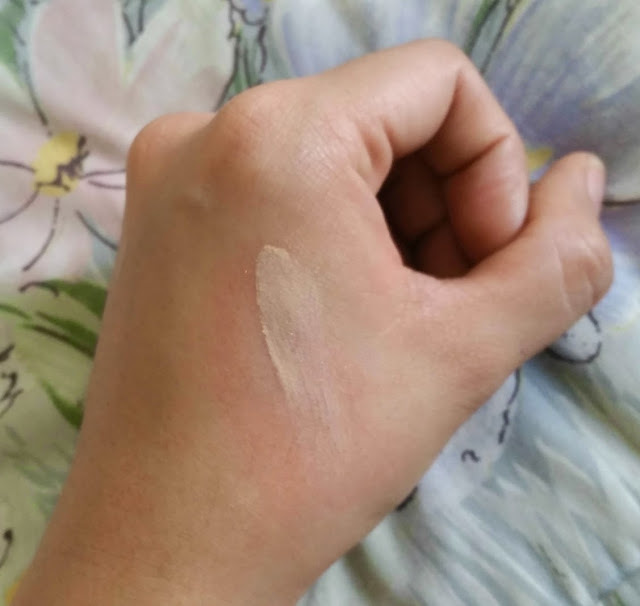 It’s also non-greasy, easy to apply, covers most, if not all, skin imperfections flawlessly and leaves a smooth matte finish. As with the lasting power of this BB cream, well I have to be honest that after 3-4 hours it starts to fade and the coverage lessens too. Either way, this is still my favorite among all that I’ve received in this BDJ Box Elite. 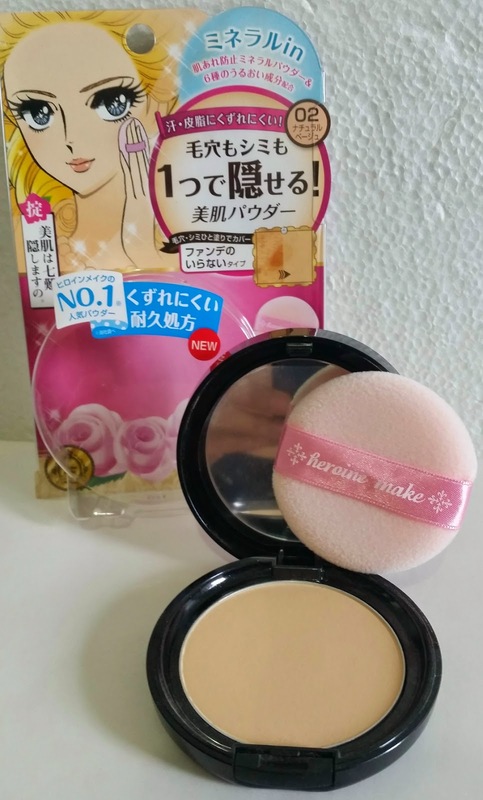 Description: Go foundation-free with this powder that covers uneven skin surfaces and pores in one easy step and creates even, matte skin. It leaves skin looking smooth with light-diffusing particles, and absorbs extra sebum to help your makeup last throughout the day. 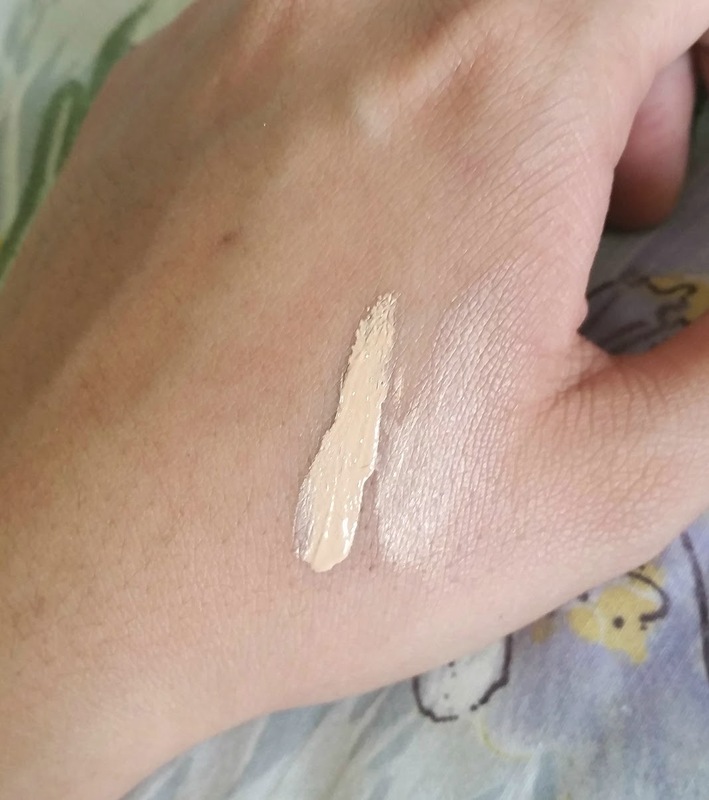 My Feedback: The shade that I got is lighter than my skin tone. 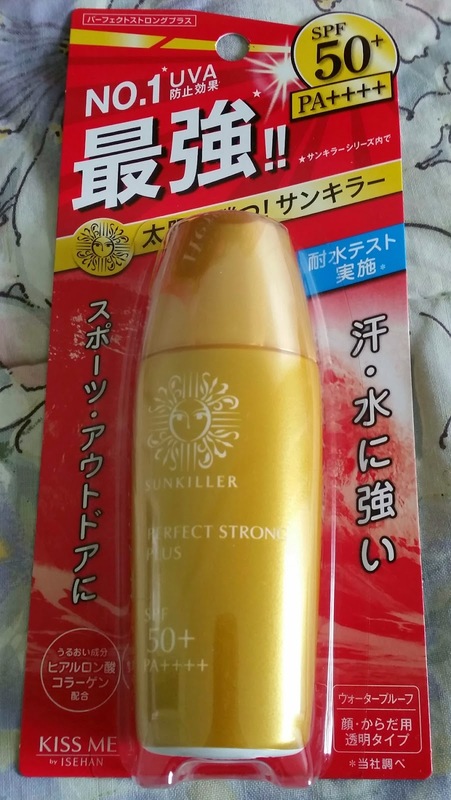 I still road tested it just to see if the lightness would darken a bit since this is the case for most of the foundations I’ve used because my skin is acidic. Unfortunately that didn’t happen. I don’t want to look like I used confectioner sugar for my face so I will probably give this to my sister since she has fairer skin than mine. 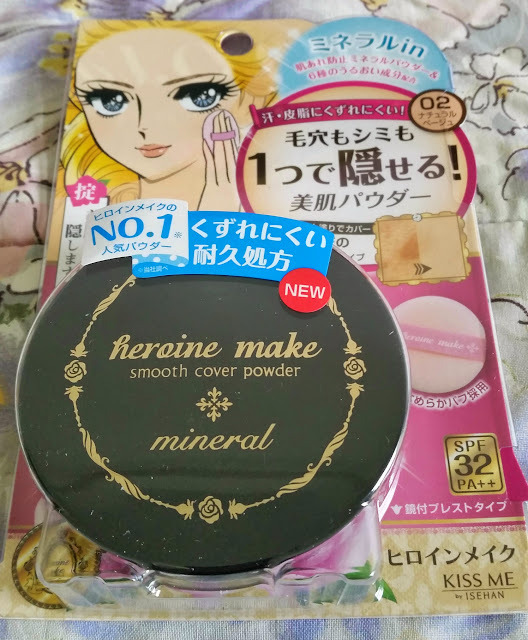 It is smooth to apply though and gives a pretty good coverage specially for skin imperfections. This would be really nice to use especially that it already has a built-in sunblock, I just wish it matches my skin tone. Btw, this powder smells citrusy, kinda like the smell of lemon. 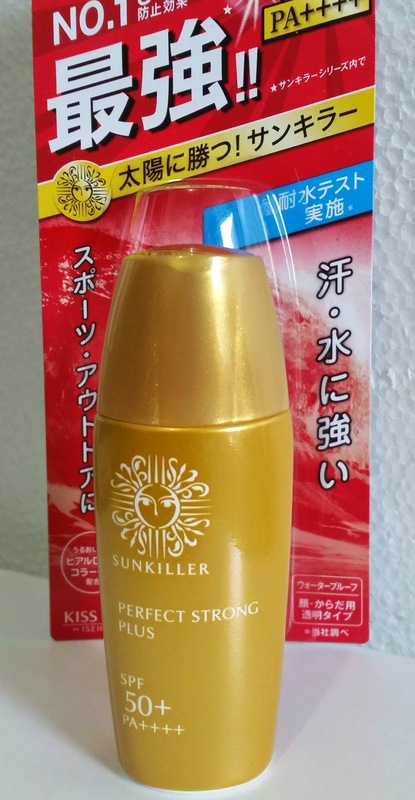 Description: This sunblock features super UV-blocking abilities, with a special UV cut powder that helps the sunblock last on your skin longer. It's waterproof and sweat-proof, so you're free to do different activities without worries! It's non-oily and turns transparent upon application, so your skin won't turn unnaturally pale and oily upon application. My Feedback: I really don’t need a sunblock I think because I work graveyard and it’s rarely that I get exposed to the sun. But I know this will come very handy anytime. 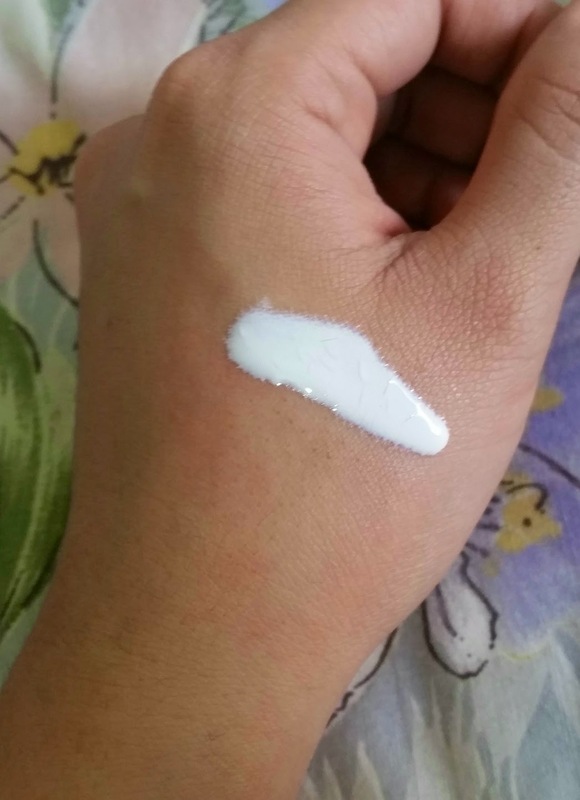 The liquid is white but when you spread it out and apply it on your skin it turns transparent, it’s nice that it won’t leave a white cast unlike other sunblocks. 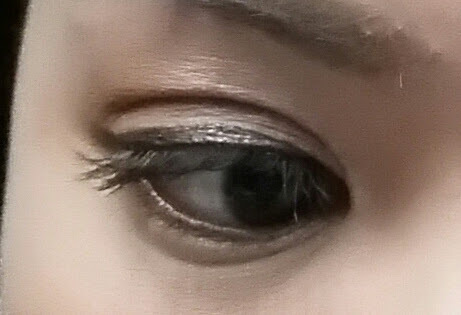 My Feedback: I like how natural these falsies look like, just enough to add some oomph and volume to my eyelashes. 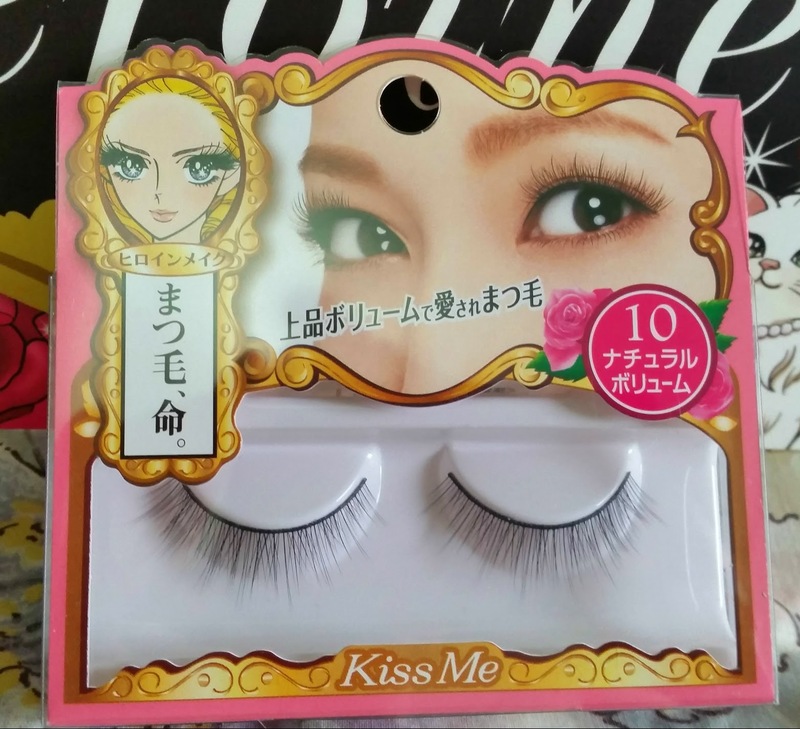 They’re not too fancy and not too drag-queen-falsies type. The hair strands looks like they’re real too. The only problem I have is that I still don’t know how to put them by myself, but I would like to use this to practice putting on false lashes. 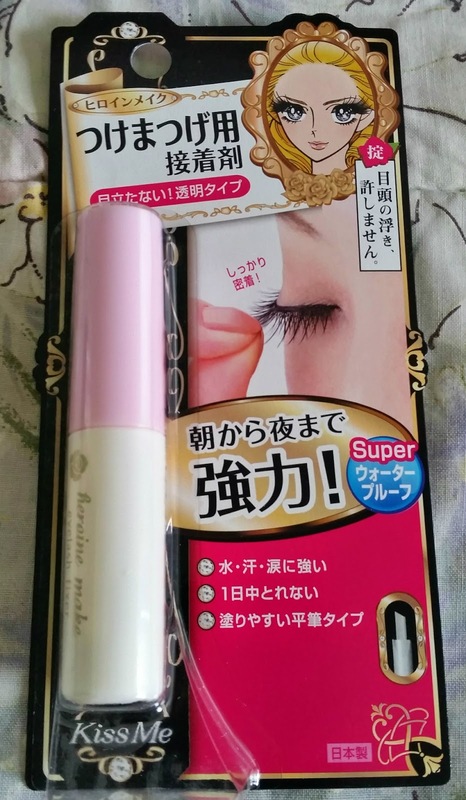 Description: This eyelash fixer will securely adhere your false lashes from one end of the eyelid to the other. It’s waterproof formula is resistant to perspiration, water and sebum. It dries fast and becomes clear when it is dry so that lashes can be glued on beautifully with almost no glue marks even when the base of the false lashes is thin. 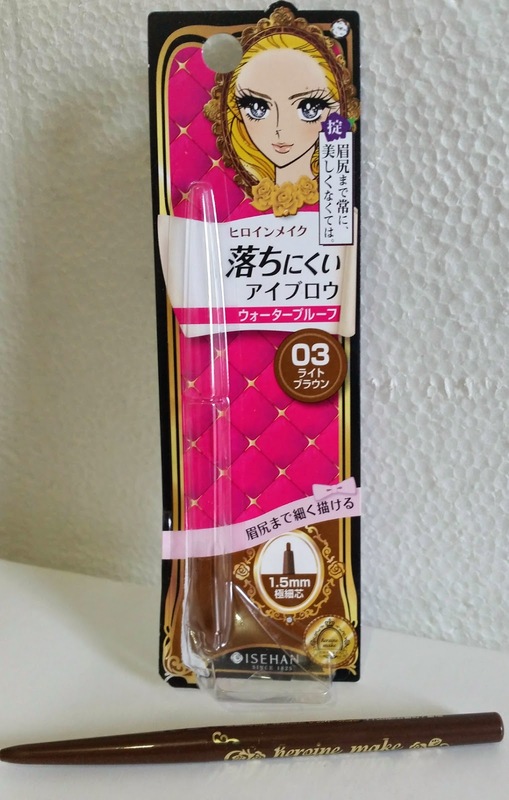 My Feedback: I haven’t tried using this and see if it will hold the falsies in place for hours. But based on reviews you need to put a little more to make it adhere longer. But the good thing is that when it dries it becomes transparent so nothing to worry about if you have put a little more than the usual amount that you would do. 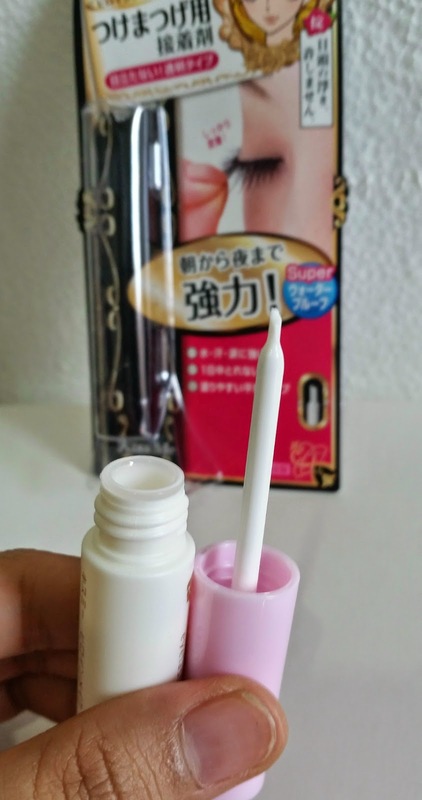 What I’m liking about this adhesive is that it comes with a brush, unlike the other eyelash glue that comes in a tube and makes a mess when you squeeze more than what you need. 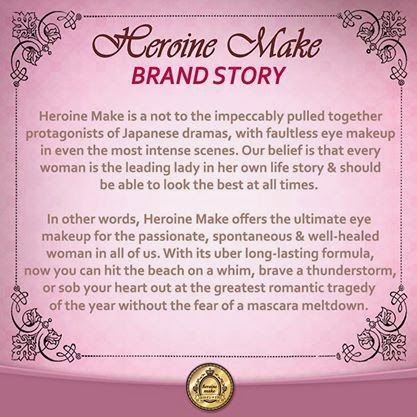 All the Heroine Make Products didn't come with a strong chemical smell which is definitely a plus point! Although the staying power of some of the items kinda disappointed me a bit, I would still give them a second chance, maybe I need to road test them more. Also, there are still a lot of factors to consider, especially that I have problematic skin, that we live in a country with very unpredictable weather and also my current working environment. The three products that I really like and would consider buying again from the BDJ Box Elite Heroine Make Edition would be the, Heavy Rotation Jewel Eyeliner, Heroine Make Protect UV Mineral BB Cream and the Heroine Make Quick Eyebrow. All in all, I am happy with my first ever BDJ Box, if I would rate it from 1-5, I’ll give it a 4. With this very nice experience with my first BDJ Box Elite, I’m excited for what’s next they’ll going to release!